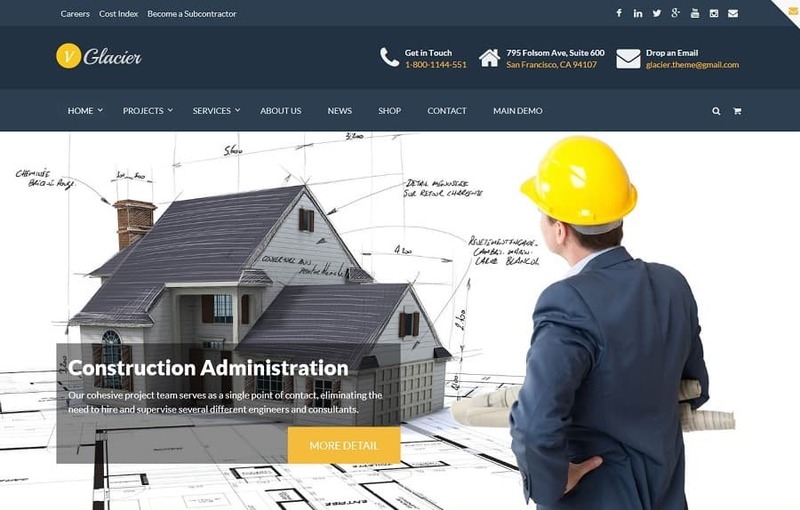 A professional collection of best construction WordPress themes for companies, small businesses, builders, architects, solicitors, electricians, plumbers etc. You might be also interested in our collection of TOP wp themes for business websites. The GEM is a professional multi-purpose theme which comes with very well designed construction business theme version. You can easily use all demo versions thanks to demo data included in the packaged of the theme. Everything can be installed within few clicks, no coding skills needed. 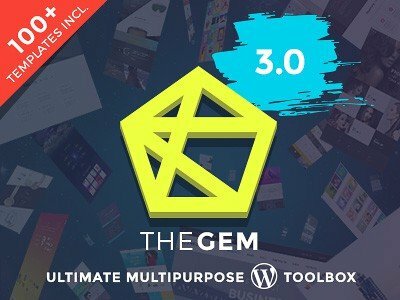 THE GEM is one of TOP 15 themes on the market and it has been out there for almost 2 years. You can be pretty much sure 100% about the quality of the product, development & support team. You are going to get TOP support, documentation and updates for ONLY 59 USD. Your construction website project will benefit from the quality of design and all important features of the theme which are needed for successful online presence. Theme works perfectly on any device and internet browser. It loads very fast and it’s optimized for search engines. Apart from construction design, you can find plenty of another pre-designed version for various types of web niches. If you are a web designer, you will find it very useful to own such a flexible product. Make sure you follow all design elements from the construction demo page. They follow all current web design trends, conversion and marketing practices which you will need to have on your construction website in 2018 in order to get your business going! Let us introduce you one of the best construction WordPress themes from TemplateMonster. Despite the name of this ready-made solution, it does not build any walls. Everything is completely vice versa. It is capable of destroying all possible barriers between you and your target audience. There are many amazing tools that are included to make everything absolutely easy. Let us get familiar with them one by one. To begin with, it is important to say that this all-in-one theme is suitable for all possible kinds of construction businesses. Thanks to 50+ pre-designed pages, it will take you completely nothing to boost your business. You can share all the essential details about your services in order to make your potential customers entrust in the company. There are also different amazing demos that are already waiting for you in the package. You can choose from 11 variants of them. They are made for such topics as architecture, road construction, house lifting, pool construction, rent of equipment, and many others. Explore endless opportunities in terms of making your online-presentation become unforgettable. Implement all of them in your website in order to raise your website to a brand new level. It is possible to showcase your services, master your projects, and do many other helpful things. If you want to sell your services directly on the Internet, you will not have any problems with achieving this goal. Thanks to a great WooCommerce package, nothing will be impossible. Almost forgot to say that you can always show off your testimonials, present prices lists, and introduce your team members. Do you want to represent your news and blog posts in the best possible light? In this case, you need to pay your attention to three eye-catching blog layouts. By the way, there are also some excellent shop layouts that allow selling your items cost-effectively. Do not forget that you can forget about coding thanks to a fully-functional Elementor Page Builder. Real Factory is a powerful and versatile construction theme that gives you the opportunity to stand out from the crowd, to be different, modern and attractive. Help your business grow with a professional look and fully functional WordPress theme. Real Factory suits any kind of construction business such as architecture, landscaping, renovation, interior and exterior design. Choose from 19 header styles, 14 prepared blog layouts, 9 portfolio layouts and 6 gallery layouts. Import the demo content within few clicks and change the look of your business over next weekend. Real Factory comes straight with a package of super useful plugins (including some premium) and features. GoodLayers Page Builder, Revolution Slider, unlimited sidebar options, real-time WP Customizer, powerful admin panel or auto updates. These and many more plugins save you heaps of time, makes your life easier and building process faster. The code of the theme follows all the latest WordPress standards which mean great user experience for visitors and easier modifications options. The design is fully responsive so it fits from big screens to hand-held devices. The images look great on Retina displays. The theme can be turned to be multilingual in just a few moments. Real Factory is a great tool to achieve only the best results. To make everything easier you gain access to extensively detailed online documentation. If this is still not enough you can submit a request to a professional and fast support team. They have all the answers to your questions. Another outstanding product for building construction company website! This WordPress construction theme is definitely a big deal. It’s been through many updates and became one of the best sellers in this “construction niche”. Go ahead and find out more! Theme has been developed by very experienced Themeforest’s author which is one of the power elite authors on the platform. You can’t go wrong with their template, customer support or continuous /regular updates. All of these are included in your theme package. Ideal product for WP beginners or experience web developers. Having a well-coded theme can have other benefits in a long-term plan. Fast loading WordPress themes are beneficial for SEO results because they have higher user engagement which is one of the most important factors in Search Engine Optimization world. You will slowly climb up to good results in google search. Listing all the features would be practically endless, so we recommend to check out full landing page and description here. The Builders is the ultimate solution for any company or agency that operates in building / construction business and not only. It is versatile enough that it can be used as a base for any other business type. It contains a restaurant reservation plugin so it can be easily turned to a restaurant website. It is only up to you or your customers what you want to create. The Builders is responsive and retina ready so it looks great at any screen size or screen type. It is compatible with majority of the best and useful plugins available such as WPML (plugin for multiple languages), WooCommerce (on-line shop), W3 Total Cache (increase loading speed), Yoast (best SEO optimizer plugin) and much more. The theme comes with some premium plugins included completely for free. Visual Composer, drag & drop WP page builder and Revolution Slider, slider plugin. The list of useful features is very long and we are only going to present few of them. Lots of demos ready to be used within a few clicks, vastly customizable header section, unlimited colors and hundreds of Google fonts, smooth parallax effect, 850+ Icomoon font icons (all are Retina-ready), Mailchimp integrated (so you can start collecting email addresses from day 1), Contact Form 7 integrated (to create beautiful contact forms), advanced blog layouts, custom CSS friendly, restaurant menu builder, restaurant reservations plugin. The template is SEO optimized and the code is written to achieve good loading speeds. The admin panel is very powerful so you can customize and change most of the things you can see. Theme is well documented in an online available file, regular updates comes for free with a purchase as well as attention of premium support team. Mega Project is a professional high-quality WordPress theme for construction companies, architecture firms, engineering projects or any other business in the field. It’s made to represent your construction business on a very top-notch level and impress your website visitors and investors. Theme is very easy to use, ideal for WordPress beginners aiming for a small project or more experience web designers building page for a medium / large business size client. Make sure you follow demo version in order to get as close best design as possible. Pre-designed elements of this website will make your life way easier. Just go ahead and follow instructions on how to install demo data in the documentation. It will take you few clicks, right after you install your WordPress package and your WordPress theme. It comes FREE with your theme package. Mega Project comes with a bunch of amazing features that can be useful for various construction projects, such as, Woocommerce plugin compatibility, drag & drop page builder, master slider, 4 header styles, custom WP dashboard panel, mega menu, 5 different layouts for projects and support multilingual WPML plugin as well. Theme has been created by GoodLayers author from themeforest, one of the leading and most experienced WordPress theme developers on the platform with more than 5 years of experience on the market. You can count on professional support, updates and smart documentation when it comes to GoodLayers team. No doubts there! Etalon is professional / multi-functional WordPress theme which comes with great construction website version as well. It’s focused on the promotion of different types of services and you can choose from 15 pre-designed niche demo websites. Themes come with ideal features which will help you to improve your conversion and online presence. You can use stuff like popup contact form, opening hours, portfolio carousel, photo galleries, testimonials, pricing options, etc. All pre-designed layouts and features can be easily imported by with demo data, just by 1-click. No coding skills needed, plus theme is backed up by documentation and even if you are total newbie with WordPress, you will easily get the job done. In case you get stacked, just reach out to theme developers on the support forum and they will help you. It’s all included in the price of the theme. Invento theme is developed for a Corporate, Agency, Architect websites. With Invento, you’ll have the opportunity to modify your website as you wish. There are five types of home layouts and also five different of headers within theme. You can easily install and use any of them which meets your needs. You can find an advanced portfolio page provided in the theme. Invento gives you the option to load more portfolio with the ‘Load More Pagination’, if needed. There are plenty of color options and icons that you can use/change freely. Template has some important features, such as visual composer, one-click installer, revolution slider. Layout sections are created with shortcodes and can use them without any coding skills. For the sake of one-click installer, all you need to do is just click on the run install button and get demo loaded within few seconds. Use revolution slider to make your website look professional, advanced and creative to stand out of the crowd. You do not have to pay anything extra for those premium plugins. Invento is also fully responsive. In other words, you can use the theme in every mobile phone or ipad without no problem. Make sure you visit live demo and try the whole experience by yourself. Cast is a professional template for websites in the construction industry. It’s ideal for building companies, architects, builders, developers of small, medium business size. Theme comes with a bunch of pre-designed layouts and designs which will save you plenty of time while building your website. You can choose from 4 different homepages, inner industry pages, 6 different headers, blog layouts, etc. There are a bunch of premium features developed inside theme and plugins packed as well. 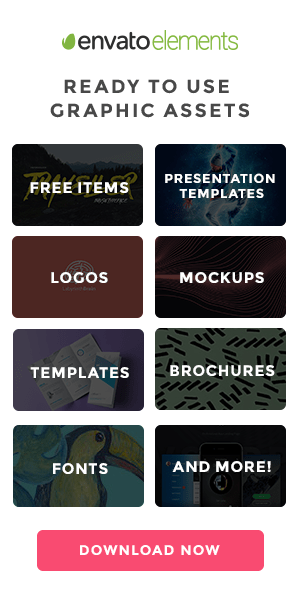 You get revolution slider, visual composer and essential grid for FREE. It’s gonna save you 79USD just by purchasing the theme. With visual composer building, customizing and editing of your theme will be peace of cake. VC is supper user-friendly tool which is part of almost every high-quality WP theme. Make sure you follow step-by-step documentation, update your theme and get in touch with support when it comes to troubles. Remember “time is money” and you definitely want to take advantage of these premium features. Don’t forget to visit the live preview of your theme to see what you can achieve with this theme for your construction business. Online presence is important for every business in every industry nowadays. The most professional WordPress Theme for construction companies. Very popular on themeforest with more than 1800 sales. It fits any kind of construction companies and businesses. Template is very friendly and easy to set up with one click demo content and intuitive page builder. Real-time WP customizer will save you a lot of time because it allows you to see changes instantly. Builderpress is supported by great support and very detailed video documentation. What’s quite surprising is that template is compatible with woocommerce and you can set up eshop as well. Time to build with buildpress. Ratio has been designed to become a powerful WordPress theme for use in architecture, construction and interior design. Modern and neat design of pages, grids and layouts makes your clients feel very comfortable while browsing the content. Choose one of 15 pre-made pretty home-page variations and start attracting potential customers as soon as possible. With plenty of inner pages, portfolio and blog layouts design the final look to your personal visions. Lovely and easy to navigate shop layout is ready and compatible with free WooCommerce plugin. Import all the demo content in one-click, change the information and pictures and turn the website to an online selling shop in just a few clicks. Impress with smooth parallax effects and handsome mega menu. Create outstanding sliders with well-known slider plugin Revolution Slider (included, $19 value). For the construction process use the most popular drag & drop WordPress page builder in the world Visual Composer (included, $34 value). Thanks to responsiveness feature Ratio is fully adaptable to any screen size whether you need to present your projects on big screens or on hand-held devices. It is ready for high-density retina displays so your detailed high-resolution pictures will make only the best impression. Do you have clients from different countries who speak different languages? No problem at all, Ratio is ready to become bilingual or trilingual. Ratio gets updated regularly so there is no many bugs you should be worried about. If there is any issue, professional support team is there to help. Constructent – is one of the newest construction wordpress themes on themeforest which came up design and HTML version as well. It’s a very modern template for construction and building companies with need for professional online presence which can bring more clients and work! Template is easy to set up and with 1 click demo import, you can get most of the work done in a few minutes. Constructment comes with bunch of key features, such as, mega menu, responsive woocommerce themes, creative portfolios, SEO, 3 header styles, WPML translations, etc. Template’s package comes with FREE PSD files, child theme, customer support, detailed online documentation and regular theme’s updates. Definitely excellent solution for your construction business. You can use it for small or medium sized companies or individual businesses. Feel free to check live preview before you make a decision about the purchase or visit items page on marketplace and submit your pre-sale question, the author will get back to within few hours. Check the article on tips how to build PRO construction website! BestBuild is definitely one of the TOP construction WordPress themes from themeforest. It’s been bestseller in its category last few months. Theme suits best construction, building, developing or architecture companies. Layout is very intuitive and it gives your visitors a professional impression about your construction business. If you fill up all important parts of your website, it can for sure convert and bring you tons of new leads. You can choose from a couple of different header layouts, build detailed about company pages, setup project pages, build service pages, introduce your team page, promote new career options or blog about news in the industry. There are plenty of options how to interact with your visitors and turn them into clients. Thanks to visual composer and 1 click demo import, BestBuild is very easy theme to deal with. No coding skills are required. Premium plugins, such as revolution & layer slider, visual composer, will save you $63! You can easily go multilingual with WPML plugin which is fully compatible with the theme. Theme is regularly updated, comes with detailed documentation and offers PRO support. Try out live preview and find out how all these features I mentioned works together! I definitely recommend to have a good looking website in this industry, it’s like a badge which proves professionalism. Plumbing is very professional and elegant construction WordPress theme which can fit many different types of occupation in the industry. Template is fully responsive, mobile friendly and retina ready! It’s very easy to setup and customize, plus you can use 1 click demo import of sample data which will save you plenty of time. You can easily translate your website with WPML plugin and become international. Template also comes with visual composer which is very handy while getting your layout done and filling up the content. Plumbing template comes also with other important features, such as, online appointment feature, revolution, flex & swiper slider, shortcode builder, different gallery styles, powerful framework, etc. There is bunch of pre-designed layout which you can try very easily. You can choose from 6 different homepage layouts, 2 different menus, 3 blog styles and footer styles. As all the other products from themeforest, it comes with documentation. free updates and access to support forum. In case you would like to find out more click the button above and check out live preview!! Konstruct is construction WordPress theme with very professional look and trendy design. Ideal solution for building companies with need for online presence which can reflect their hard and high quality work. It’s very easy to build website with konstruct because it comes with bunch of video tutorials where you can see everything step by step. It comes with 2 pre-designed layout options, 9 header styles and a bunch of premium features. For this type industry, this template has a lot to offer and it’s definitely a great choice! Konstruct is fully responsive and optimized for all devices and web browsers. It’s very easy to setup website with Konstruct because it comes with 1 click demo import, visual composer and live preview customizer. In case you need help there is support available or you can grab the newest update anytime for FREE. With construct you can also run eshop within your website because it’s fully compatible with woocommerce plugin. Template comes also with premium revolution slider plugin which is the best solution for building impressive slider to attract your visitors. Go and see live demo to try all those features. Better try once than hear 100times. Structure is one of the most popular constructions WordPress themes from themeforest.net! It comes with everything you need for building a professional website of your construction corporation. You’ll definitely enjoy working with this template and you can be sure that visitors will love your design and branding. You can use this template for engineering, architecture, building services or any other type of business from the field. Structure comes with plenty of video tutorials, FREE updates and professional support team. All these save you plenty of time. Template contains 10 pre-designed demo pages which you can easily get up within few clicks. There are also 16 predefined color schemes which you can get ready with 1 click. How cool and easy that right? Structure passes all speeding and SEO tests very well and you can be sure that after you go online traffic we’ll start rolling in! Template comes with 4 premium plugins worth $80 which you get completely for FREE. Don’t hesitate and get your construction business back online and shine! Construction is a professional WordPress theme with the creative design! Template is very flexible and it fits any type of construction/building company. There are plenty of variations and you’ll definitely find the right one for you. Then you just need to import demo content and you’re ready to move forward. It comes with bunch of features, such as, full responsivity, customizable headers, unlimited colors, fixed or sticky header, iconography, wide or boxed layout, page builder, revolution slider etc. I would say it’s quite a lot of features for the template of this range and purpose. As bonus you get 42 shortcodes which will save you quite a lot of time. Template is also compatible with any type of browsing devices and internet browsers as well. There is also option of demo content installation, which might be very useful for you. I hope you find this theme usable for your project and it will help with your project. 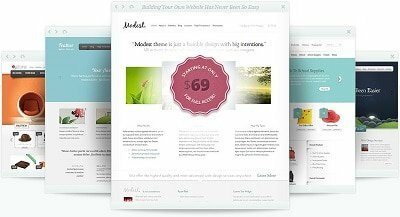 Megalith is another WordPress theme by teslathemes guys! This construction WordPress theme fits different types of building businesses, huge corporation or individuals. Theme is very simple to use, customize and you don’t need any coding skills just common computer skills. Megalith has become theme month and it’s sold plenty of times and that tells quite clearly that’s a good choice! It comes with bunch of features, such as, 100% responsivity, mobile friendly, full and boxed layouts, FREE premium plugins (visual composer + revolution slider = $51 value), WPML compatibility, etc. Megalith comes with other FREE features, such as online documentation, dedicated support team and regular updates. In case you struggle with any settings of template feel free to contact and save yourself time. Megalith is a great low-cost solution for your website and you can definitely do it by yourself and or you can use a developer who might be able to get this done in one week! Don’t hesitate and give your construction website new look and drag some leads under your roof! Another amazing construction WordPress theme for building companies or solicitors! Industrial comes with 1 click data import and that will allow you to get demo design up and running in a couple of minutes. After import you will need to change pictures, content and your construction website is done! Industrial is SEO ready and you can expect good rankings after you go online! Organic traffic will generate the best sale for your website. If you’re planning to translate your website to more languages, WPML plugin is ready for that! What else, Industrial comes with 24/7 support, real-time customizer, visual composer, smooth css3 animations, bootstrap 3, parallax sections etc. It’s very simple template and all the features you can possibly need are included. Detailed documentation is included and regular updates will be released when it’s needed. You can choose from to different sliders, revolution and flexslider. Make your website visually appealing and lower your bounce rate as much as you can and the business will start coming through the door! PRO Construction WordPress Theme for building business and architecture companies. You can take advantage of easy to use drag & drop page builder and build up your web in a couple of hours. It’s very easy to set up a portfolio and sort out the layout and pictures and showcase your amazing portfolio. It’s responsive and it will fit all devices like phones, tablets and different laptop screens doesn’t matter what platform it is or what browser you use! Theme comes with two different pre-designed home pages. Great bonus is $72 FREE value pack included, containing revolution slider, visual page builder and essential grid! You save so much money if you buy this theme because you can get this template from only 58 bucks. Housebuild is one of the best construction wordpress themes of 2015. It suits the construction, builders, workers businesses the most. Housebuild comes with bunch of free stuff, such as, HTML version, visual composer, revolution slider, wpml plugin etc. You can take advantage of awesome features, such as, real time wp customizer, one click sample data install, unlimited colors, 600+ google fonts, font awesome icons, etc. Housebuild comes with 24/7 support where you can get answers to any of your questions in case of troubles with theme. From the recent construction themes I’ve seen on themeforest housebuild is definitely TOP because it offers competitive design and quality and very easy customization. No coding skills needed for building your business website. Constructo is construction WordPress theme suitable for individual solicitors or companies. You can present all your services, previous jobs and show off your work! With award-winning page builder called visual composer you’ll build your web in the manner of few days. What’s more, revolution slider, unlimited sidebars & colors, advanced admin panel, WPML, contact form, code style localization compatible, predefined color schemes etc. If you have a construction business, you must have this template. Blue collar is professional template oriented for small business and individuals, such as, electrician, builder, plumber, etc. Perfect low cost and easy solution for business website. : This article contains affiliate links what means that if you click on them and purchase and item (product) or membership, we may receive a commission from the sale. All reviews and descriptions are our own and we do not accept any payments for adding positive reviews. Hi, would be delighted if you colud list our Construction WordPress Theme “Renovate” http://themeforest.net/item/renovate-construction-renovation-wordpress-theme/11789093 Kind Regards. thank for tip, we’ll reconsider for the next update of our construction themes! 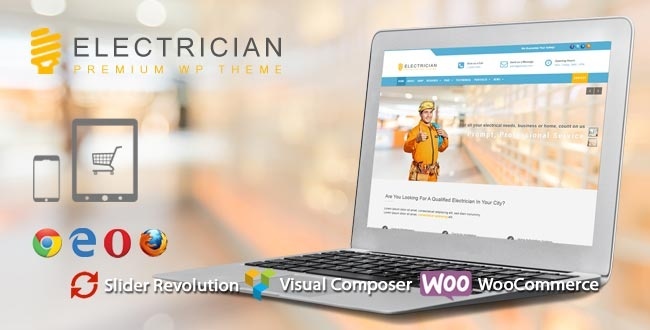 Trending Construction wordpress theme… http://bit.ly/1OTP9Df . Yes, ‘We Build’ wordpress theme is best choice for Construction & Building. I will support alex in below comments. This is a top-drawer article with a winning list of construction wordpress themes. Our new construction WordPress theme compiled with splendid design and features needed for the best construction website. Make a go through on our theme. We hope our theme will be added to your collection in short time. I will consider in next update!